As far as I know about this character she still doesn't have a name so she's just paddle ball for now. 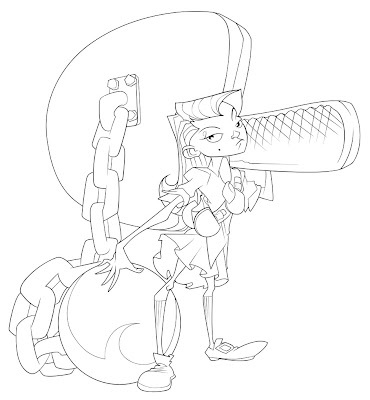 She's a member of a group of characters Casey created called "The Chain Gang". Another ink done, onto the next one.